Chimichurri is a delicious green sauce of parsley, garlic, olive oil, oregano, and vinegar. Like pesto, chimichurri never gets old to me and is good on everything especially grilled meat. 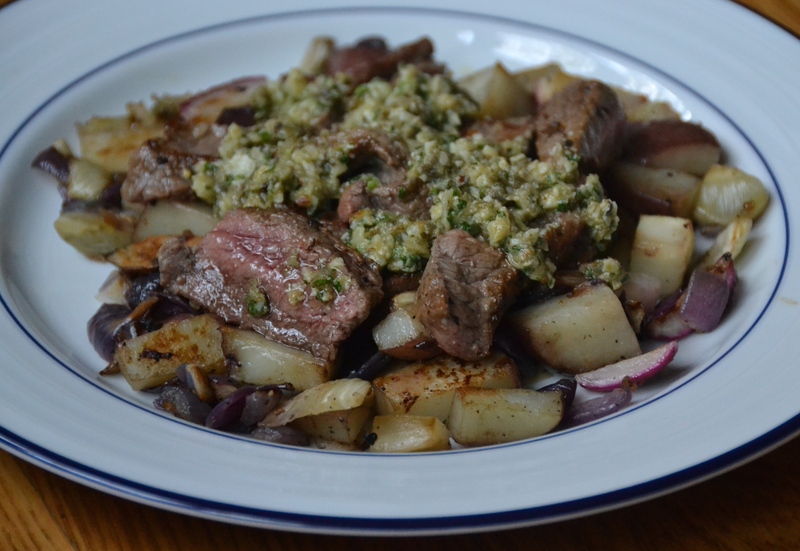 I thinly sliced the sirloin and served it with a hash of crispy new potatoes and red onions for a hearty, flavorful meal.